Shirley (Oslund) Carr, 85, of Ottawa, died on Thursday, February 7, 2019 at the Ottawa Pavilion. Funeral services will be at 10 a.m. on Monday, February 11, 2019 at the Mueller Funeral Home in Ottawa, with the Rev. Carolyn Lukasick, Pastor of Epworth United Methodist Church, officiating. Burial will follow at Oakwood Memorial Park. Visitation will be from 2 to 5 p.m. on Sunday, at the funeral home. Shirley was born on June 27, 1933 in St. Charles, IL to Orrin and Lucille (Berg) Oslund. She was a graduate of Batavia High School class of 1952. Shirley married Martin L. Carr on May 9, 1953 in Batavia. 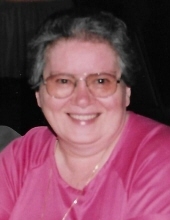 She was a member of Epworth United Methodist Church, AFSCME Retirement group, volunteered at the Community Hospital of Ottawa and Ryburn Hospital as a Pink Lady, where she took and developed all of the Baby pictures, and was a Campfire Leader for many years. She is survived by her husband, Martin, 4 children, Linda Morgan, of Waukesha, WI, Wanda (Michael) Dean, of Mendota, Conrad (Deidamia) Carr, of Boston, MA, and Daniel (Cindy) Carr, of Sandwich, 9 grandchildren, and 9 great-grandchildren. She was preceded in death by her parents, one grandson, Korey Carr, 2 sisters, Grace Robbins, and Helen Radkiewicz, and a brother Dale Oslund. Pallbearers will be Michael Dean, Matt Dean, Kevin Carr, Kyle Carr, Joe Dean, and Aren Dean. Memorials may be directed to Epworth United Methodist Church of the American Cancer Society. To send flowers or a remembrance gift to the family of Shirley Carr, please visit our Tribute Store. "Email Address" would like to share the life celebration of Shirley Carr. Click on the "link" to go to share a favorite memory or leave a condolence message for the family.